If LASIK eye surgery is going to be successful, it is up to the doctor and the patient as well. Doctor's skills and abilities are important for the surgery, but so is the patient who is responsible for the things on his part to be done. There is no guaranty that the surgery will be successful if both patient and the doctor do not do their part. Maybe the most important thing a patient can do is to listen very carefully to what their doctor tells them to do and what not to do. Specific instructions must be followed if the surgery and the recovery are going to succeed. Patient will get both instructions for after and before the surgery, in order to help him prepare his eyes for the surgery and to know what to do after, and how he can speed up the recovery. Taking Vitamin C is most often included in the instructions before the operation, because it makes the eye stronger. Also, if they are wearing contact lenses, they must stop doing so three weeks before the surgery, so that the cornea can get back into its original shape. Dark glasses are being given to the patient after the procedure in order to help his eyes from bright lights. They are important. Rubbing or touching the eyes is most definitely not allowed, because the flap cut in the cornea can be disturbed, which would provide that it doesn't heal properly. 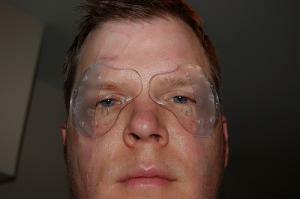 They will also wear eye shields during sleep, so that they do not touch their eyes unconsciously. Patients will get antibiotics and eye drops, as well as instructions how and when to use them, and they must follow those instructions. Also, swimming and contact sports are out of the question during the process of recovery. After the surgery, eyes are very vulnerable to infection and injury, so the before and post- surgery instructions are there for a reason. If the eye gets somehow injured or infected, it could end up in surgery not being successful and even cause further eye problems. The most common is, at least in Texas because of the heat, dry eyes. These can stretch from a couple of days to even six months. If you think you have these syndromes, do not hesitate, call your surgeon. Other complications are seeing halos, glaring, infection, etc. Infection is the one of most significance, because if not treated, it can lead to vision loss. No lotions and make up after the surgery, at least for a couple of days. Also, contact sports, swimming and even hot tubs for at least 7 days. LASIK recovery is not that complicated, as long as you follow instructions. Also, do not hesitate and at the first sign of trouble, contact your surgeon. Is there anything other than LASIK surgery? Who can have LASIK surgery for myopia? why do I have to wait for a few years to have LASIK?